Head injuries are rather common for children who play contact sports. When a concussion occurs, it’s common for medical professionals to advise parents to have their children lie low and recover. Now, researchers from the University of Buffalo have found that patients who were supervised during an exercise regimen recovered four days faster, on average, than those who weren’t exercising. “This research provides the strongest evidence yet that a prescribed, individualized aerobic exercise program that keeps the heart rate below the point where symptoms worsen is the best way to treat concussion in adolescents,” said Dr. John J. Leddy. The researchers had over 100 participants between the ages of 13 and 18 involved in the study. All of the participants had sustained a sports-related concussion in the previous 10 days; half of the group was prescribed a personalized aerobic exercise routine, while the other half performed stretching exercises. For the participants chosen to exercise following their concussions, the researchers tested them using the Buffalo Concussion Treadmill Test to determine how intensely they should be working out. The test has participants walk on a treadmill, gradually increasing the incline, and as concussion symptoms begin to worsen, the researchers record their heart rates. According to Dr. Leddy, the researchers “prescribed 80 percent of that threshold so each patient’s exercise ‘dose’ was individually tailored.” The participants were evaluated on a weekly basis and spent 20 minutes each day exercising, after which they’d report on any symptoms. At the end of the study, the researchers found that those who were working out after their injuries -- by either walking on a treadmill, walking indoors our outdoors, or riding a stationary bike -- recovered in just under two weeks. However, the group that was stretching after their concussions took an average of 17 days to recover. The researchers were pleased with these results, as the sooner children can recover, the sooner they can go back to their routines, including regular schoolwork and sports practices. The researchers hope that their study becomes recognized more widely so more children can get the care they need and recover as soon as possible. “The results of this study suggest that we must build greater capacity within our healthcare systems to allow patients access to multidisciplinary concussion programs and clinics that have the medical expertise to carry out early targeted rehabilitation of acute concussion,” said Dr. Michael J. Ellis. Research has shown that concussion symptoms can last up to three times longer in younger children than in teens and adults, which makes finding the right treatment option even more important. Late last year, the Centers for Disease Control and Prevention released new guidelines for treating childhood concussions, which emphasize that all children react and recover differently. The agency stressed that each concussion should be handled on a case-by-case basis. 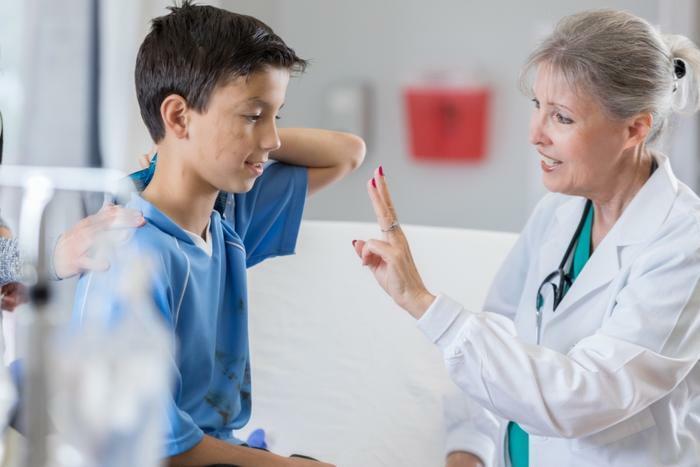 Not long after, the American Academy of Pediatrics (AAP) updated its own concussion guidelines with the goal of making the treatment protocol easier to follow and ensuring children get the proper treatment.